This comprehensive course is for those who would like to learn about a wide variety of social media. Participants will be introduced to the duties and roles of a community manager. They will learn how to establish, navigate and monitor current online communities and will learn to deliver strategies for community outreach in order to effectively deliver personal and organizational objectives. Topics include: roles and responsibilities of the social media manager, social media foundations, building portfolio, social networking, targeting audience, integrating various social media, and monitoring tools. Evaluation: online quizzes and social media tasks. Upon completion of this course participants will know how to effectively manage a wide variety of social media. This course guides participants through the step-by-step process of the online design of an instructional unit as a final product. Topics include: the features of an effective online course design, hurdles in online teaching/learning, learning styles, Central Management Systems (CMS), forms of assessment, uploading files, graphic organization and basic terminology. Evaluation: project – online course upload. 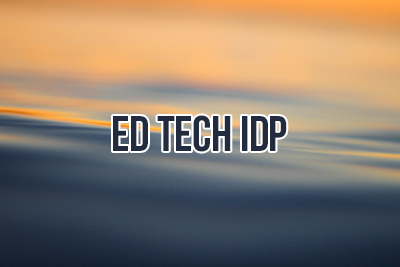 The latest addition to the Canadian College of Educators’ IDP series has a focus on Education Technology and includes courses in teaching and designing an online course and social media management. The program is suitable for newbies as well as tech-savy instructors and educational administrators. It is designed to help bridge the gap between Education and Technology for the professional educator.